Capcom's Keiji Inafune says it's a "dark time" for Japanese game developers as the videogame market today has become "primarily Western." 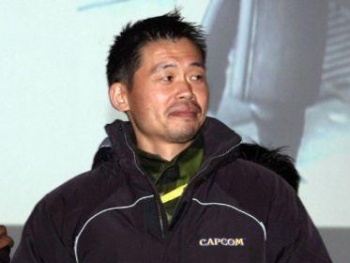 Inafune is a big player in the Japanese game development community. He's in charge of R&D and the Global Head of Production at Capcom, he's the co-designer of Megaman, he's been a producer on the Resident Evil series, Dead Rising, Street Fighter 4 and a whole lot more. So when he says he's worried that Japan's game development industry is declining in the face of pressure from the West, it's a good bet that there's some validity to the point. "If you look at the major titles, they're now primarily Western. If you look at all the different signs and all the billboards [at E3], most of those are Western titles. A lot of the key announcements are also Western titles," he told VideoGamer.com. "I think to myself sometimes, if we keep on this course, the Japanese gaming market will disappear totally." It's a "dark time" for Japanese developers, he said, and while Capcom wants to "fight the good fight" to makes it games succeed in the increasingly Westernized market, he recognizes that it won't be able to do it alone. "It's going to have to come through collaborative efforts and co-operation. It's our U.S. staff, our European staff, working closely with them," he continued. "Of course we are working with a lot of different Western developers as well. It's being able to share their knowledge and information, to collaborate with them on a very in-depth level, that's going to allow us to grow as a company and to be able to understand how the market is changing in the West." The comments are similar to those he made in September of last year, when he said the Japanese videogame industry is "finished."